Are you seeking a meaningful volunteer experience in one of the most kaleidoscopic and legendary countries in the world? Volunteer in India, and have the opportunity to gain a unique perspective on the extraordinary country much different from a typical tourist, while making a real difference to the lives of those in need. India is a vivid mishmash of landscapes, magnificent historic sites, golden beaches, misty mountain retreats, multi-faceted people and festivities, amidst a rich cultural history. A prime destination for many, India holds surprises at every turn. 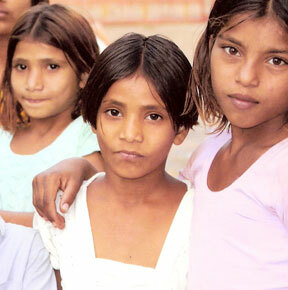 With the second largest population in the world, poverty is ubiquitous in India. There are deprived communities, exploitation against women, and children working to survive instead of going to school. There is much work to be done, and local grassroots organizations have been very active in encouraging empowerment and development. New Hope partners up with many of the organizations to reach their aims of improving health and education, and to lend a helping hand to the women and children of India. By volunteering in India, you’ll be helping to lift the country out of its dire straits while exploring all the mysteries it has to offer. Get in touch now to embark on a journey of beauty, enlightenment and enthralling culture! By doing a quick internet search, you will find that many international volunteer abroad companies are charging as high as $2,500 for just a two-week volunteer program. The unfortunate truth is that most of these companies keep a large portion of your program fees as profit, and very little money ends up at the destination. However, with our low volunteer abroad program fees, not only will you be able to save thousands of dollars, your money will go where it is most needed, that is, for you, to your host families, and your projects. With the exception of our registration fee of $279, which we require for advertising, and to cover daily office expenses and staff salaries, we guarantee that your program fees go directly to the projects and host families. New Hope Volunteers will arrange for the accommodation and meal of the volunteers throughout the program. During the first week, volunteers will stay in a hostel while participating in a language and cultural program. In the hostel, you'll share a room with other volunteers and our resident cook will prepare you 3 local meals a day. After the language program, volunteers will stay with a host family. Our host families have been carefully screened and chosen and they will have experience of hosting international volunteers before. The host families will provide you with a warm, comfortable and secure place to stay. You'll have a room to yourself and eat 3 local meals together with your host family. At least one member of the host family will be able to communicate with you in English. Living with a host family will also provide you with a wonderful opportunity to learn about local culture and customs. During the volunteer program, our country coordinator will be in touch with you every 10-15 days to make sure you're comfortable and happy. Volunteers will also have access to coordinator's mobile phone that can be reached anytime should a problem arise. Why should I choose India? Will I have time to explore Delhi and other Indian cities during my language? Should I bring my cellphone?